Two other local businesses, Puddledub Pork and Very Lovely Sauce Company will take part, with members of the public invited to pose questions from the floor. 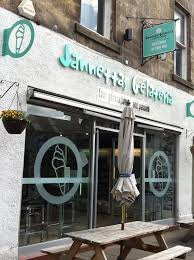 Jannettas Gelateria will take part in the afternoon session of the event, which will take place in The Byre Theatre at 3pm on Sunday 29 November 2015. A session will also be held at 11am, with Peat Inn, The Old Cheese Shop and Pillars of Hercules Organic Farm participating. The event, part of the St Andrew's Day Celebrations being staged by the St Andrews Partnership, is free but ticketed. For more information, and to book, please visit http://byretheatre.com/events/fine-food-from-fife-conversations/ or contact The Byre Theatre on telephone (01334) 475000.